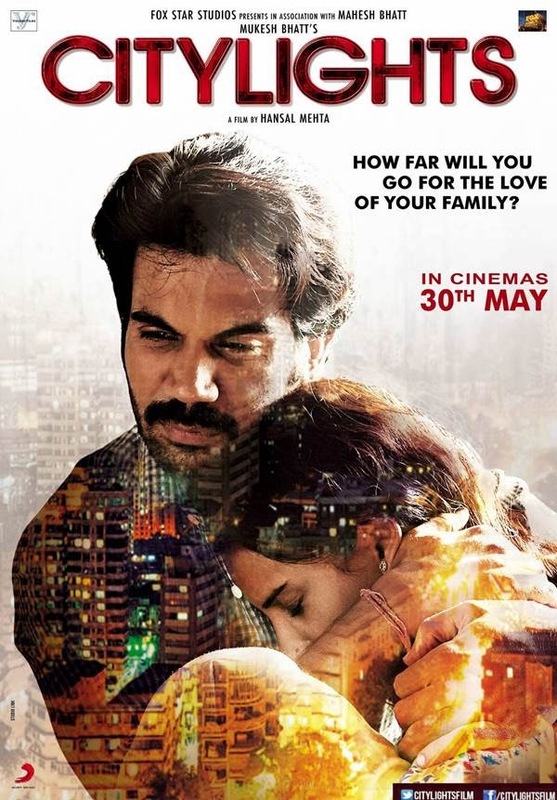 Citylights (2014) Movie Reviews: Hansal Mehta's directorial movie Citylight is a remake of the BAFTA nominated British film Metro Manila. The story of the film is about a poor farmer from Rajasthan coming to Mumbai in search of livelihood with his wife and young child. Citylights (2014) Movie Reviews: Hansal Mehta's directorial movie Citylight is a remake of the BAFTA nominated British film Metro Manila. The story of the film is about a poor farmer from Rajasthan coming to Mumbai in search of livelihood with his wife and young child. He comes to Mumbai with a hope for a better life, but upon arriving, he soon discovers the challenges of life in a big city. This hard-hitting and terrific film will not just entertain you but promise to show you the mirror of reality. Composer Jeet Ganguly and lyricist Virag Mishra leave a haunting impression with Sone Do and Muskurane’s terrific use in the film.